Do you need accountability to continue to write your best seller? Are you looking for information on the type of publishing that will work for you? Do you need tools and resources to stay on track with your writing? Do you have a dozen bestselling novels started but none finished? Are you unable to take the final steps to send your novels out into the world? Do you have a clear vision for your author career, including goals and a schedule for the next three years? 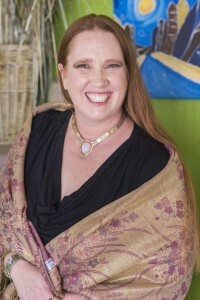 As Alica McKenna Johnson journeyed from writing fanfiction to publishing she learned a lot and had to re-do many things, which cost time and money. Her passion is to help authors create a strong foundation in preparation for their professional careers. By understanding what your career will look like and require, you can establish key components from the beginning. Alica offers author support coaching to writers of all levels who need someone to help show them different options, be accountable, gain strength and encouragement, and maintain clarity on their writing goals. Being an author can be a very lonely profession. Without the support and structure of a “normal job,” it can be challenging for some of us to stay disciplined and goal oriented. It doesn’t matter whether we sit at home in our yoga pants and baggy tee shirts or try to squeeze writing time out of a day filled with work, kids, partners, friends, and dishes, we can all use support. Alica has published five novels and one novella. She has served on the board of her local Romance Writers of America chapter, and attended many writing conferences and workshops. Dedicated to constantly improving her craft and understanding of the publishing business, Alica will share her knowledge and resources, so you can make the most informed choices possible. Group coaching sessions are limited to a smaller amount of members. Each class runs three months and we meet every two weeks via teleconference for a little over an hour. There will be homework/fieldwork to do between sessions. These one-on-one sessions with me are catered to the individual’s needs. They will last three months, with scheduled phone calls every two weeks. Also, I will be available via email or text at anytime between sessions for needed support or clarification. There will be homework/fieldwork to do between sessions. Program Fee: $249 one-time payment for the full three month package, or $100 per month. I am now offering one-hour brainstorming sessions! Not everyone wants to do personal coaching sessions. Would an hour here and there work better for you? What would you want to talk with me about? How could I support you in your creative process?